We informed you yesterday how Apple’s iBooks app refused to open digital books loaded with DRM if the device was jailbroken. Comex discovered that the app was checking if the operating system allowed it to execute an unsigned binary, and if it did, the book wouldn’t open. Now both PwnageTool 4.2 and Sn0wbreeze 2.2 have been updated to include a fix, but what if you’re already jailbroken using Redsn0w 0.9.6, 0.9.7 or GreenPois0n? 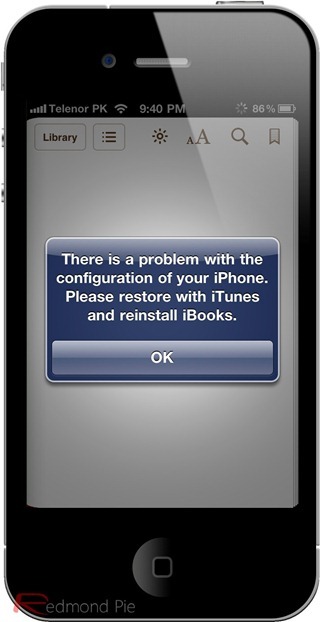 Now thanks to a simple fix available on Cydia, you can now easily fix iBooks from the device itself. 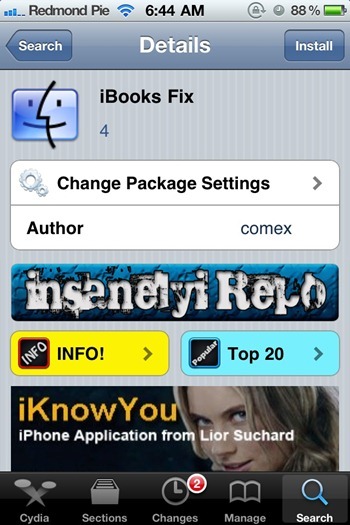 All you need to do is to add http://repo.insanelyi.com repository in Cydia, and then install “iBooks Fix”. It won’t cost you a penny ! Once installed, all your DRM-filled books should once again be accessible right from the iBooks app on your jailbroken iOS device.